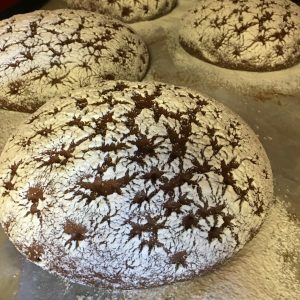 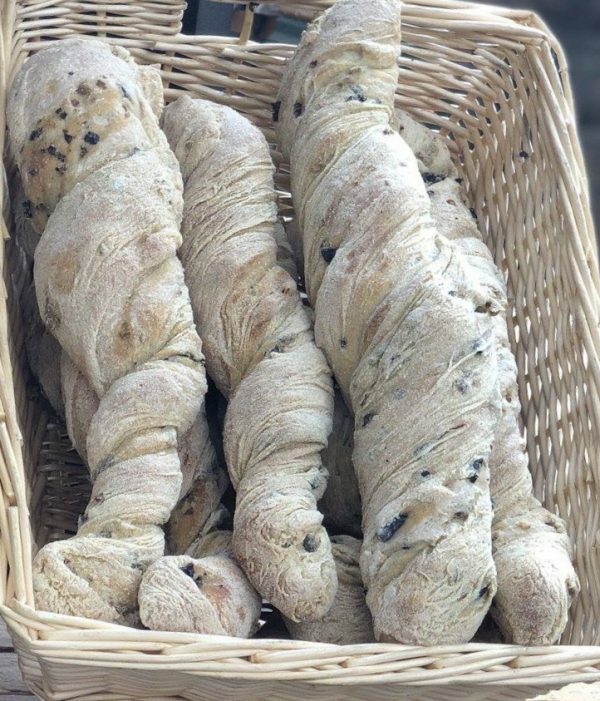 This bread is fermented for 72 hours to allow a natural bubbly dough structure to form, then hand turned with olives & semolina and stone baked to finish. 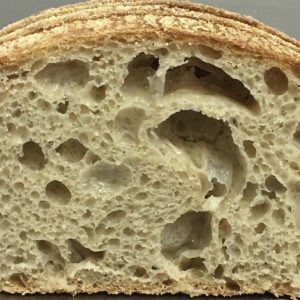 Our french inspired twist on the classic Italian ciabatta, this bread is fermented for 72 hours to allow a natural bubbly dough structure to form, then hand turned with olives & semolina and stone baked to finish. 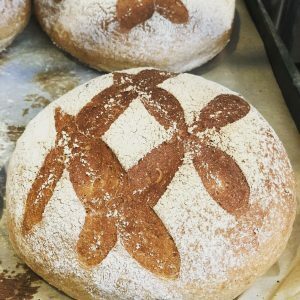 The love and time put into making this special bread can be noted in its beautifully unique flavours – unlike like any other you’ve tasted before. 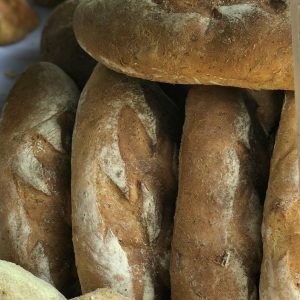 Serving Suggestions: A great tear & share bread best served with fresh salads and pasta.